There is no question that Kobe Desramaults is one of the rising stars of European cuisine. His story is inspirational because he had to work against all odds to turn a debt-ridden restaurant owned by his mother into the success story it is today. 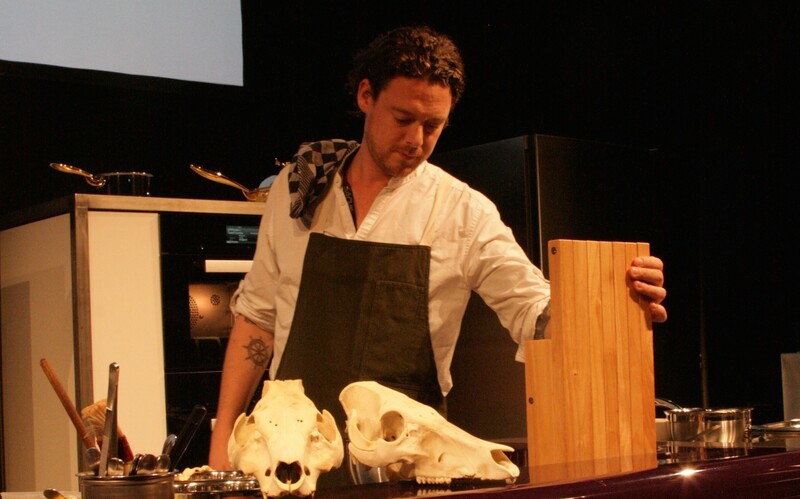 We met Kobe Desramaults at Chef Sache 2014 in Cologne. You can read our full interview with this Flemish chef, famous for his Michelin starred restaurant In De Wulf in Dranouter, his bakery De Superette and his second restaurant De Vitrine in Gent. “I could not imagine going away from this place. I have now bought a house, a farm and it is just a big part of who I am. I remember the day my mother called me to tell me that she was going to sell the restaurant. I said no, no, I am coming. Just give me a chance,” he said. “So I worked day and night. I really worked day and night. We were two people in the kitchen and we worked from 8am to 2am again and again and just kept going. Sometimes I worked even through the night. I still remember those nights. I still remember when after a dinner service, I went back to the kitchen to start preparations for the next day, only to leave the restaurant, look out to the fields and watch the sun rising. I would just have a coffee and then continue to work. It was too much. But after a year we started to get good press and the tide started to turn,” Kobe said. Kobe is one of the three Flemish foodies that have raised the bar in Gent with their inventive cuisine. Here is the story of one of Belgium’s leading chefs, who won an award for the best restaurant in the world in 2014. It is a very interesting story about the conscious cuisine of a conscious chef. Don’t miss it.